Hi everyone! I hope you are having a great week. If you were plummeted with the snow, hope you are staying warm. I had an extended weekend as a result of the heavy snow which led to work closures. Everywhere is covered in snow which of course looks beautiful but I am ready for some warmth...can Spring get here soon? 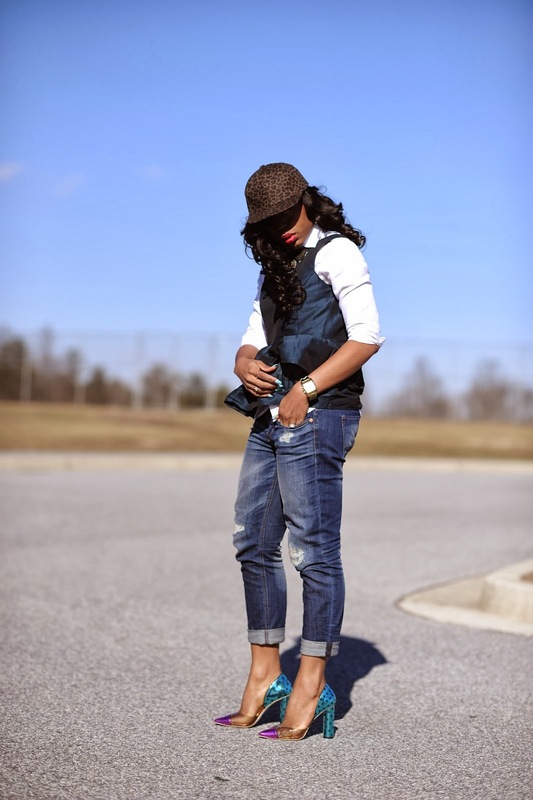 The topic of this post is "Boyfriend & Baseball" - some of my favorite items for a casual day. 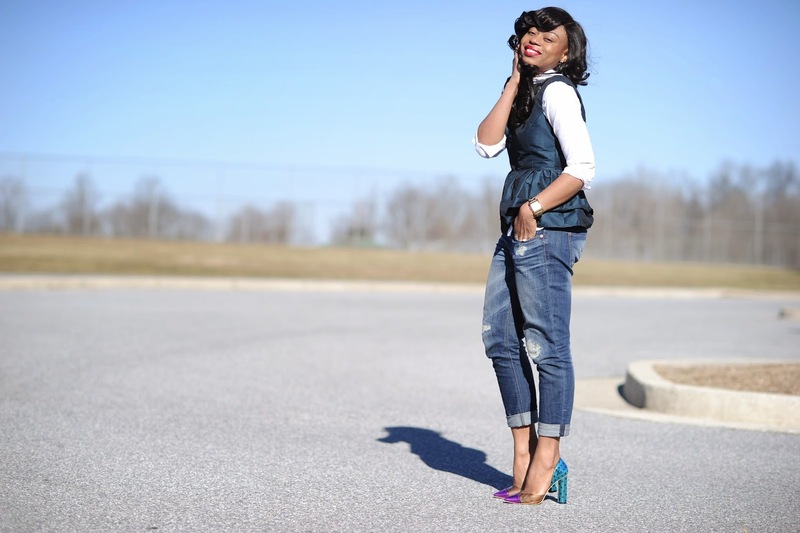 “Boyfriend jeans” have been my casual chic style outside work. 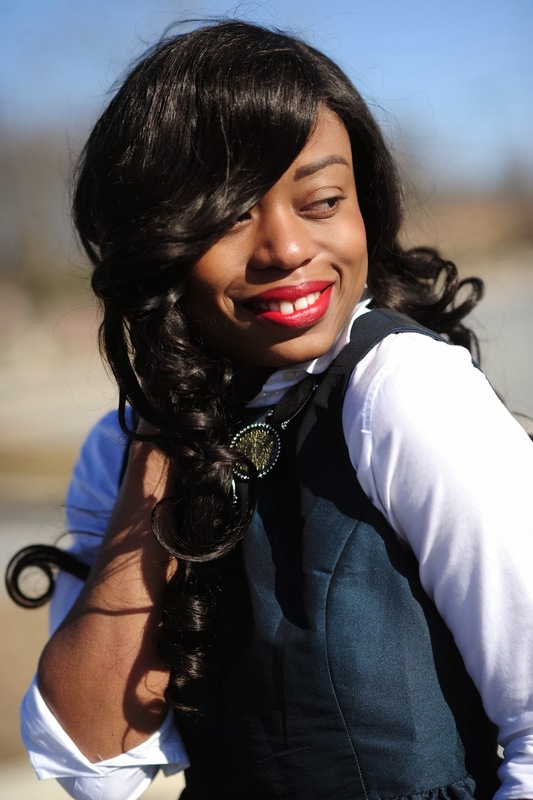 I love how boyfriend jeans can be casual with a tee or a bit dressed up with a button-down-shirt, blouse or blazer. On the other hand, a baseball cap is a great choice to complement any boyfriend jeans. Interestingly, in high school, my friends and I were obsessed with baseball caps. We would coordinate our outfits around the caps and match with baggy jeans (Aaliyah style). LOL! 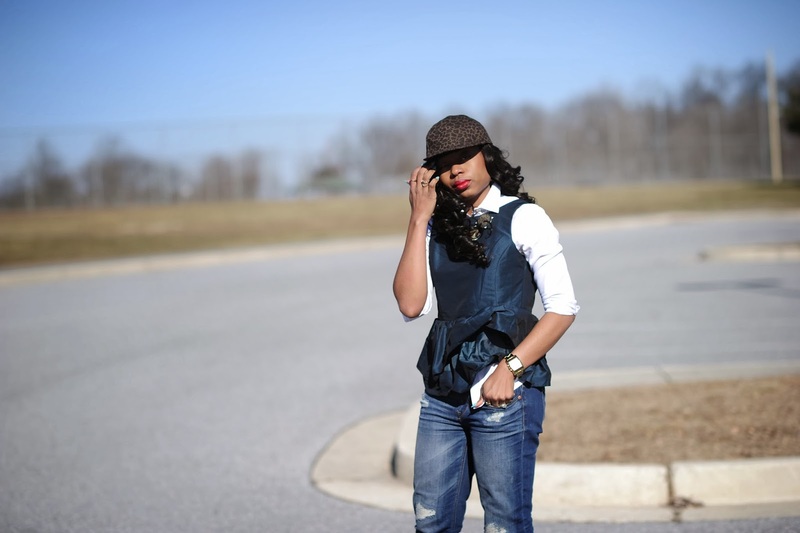 I incorporated a fun and chic take to this post by pairing my boyfriend jeans with peplum top rolled-up-sleeves for a relaxed look and complemented with a leopard baseball cap - edgy appeal. Keeping the look fun, I wore my bright Sophia Webster pumps. Girl those shoes are to die for. love it ! You look amazing Stella, and what a great look. Love the shoes! Love this look! I'm always shy to wear boyfriend jeans being a 'not so fleshy' size 8. Don't want a fashion disaster but perhaps I'd try it soon. Love that Pumps, Gosh I want one. WOW! Everything is on point. Very sport luxe meets chic! Love this mix! Your shoes are giving me life. Really lovely. And i like how you styled the look with the baseball cap.